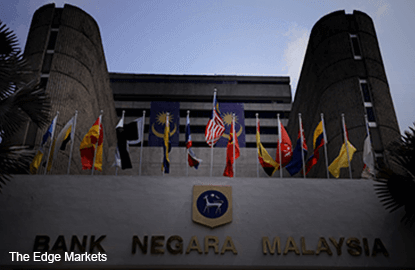 KUALA LUMPUR (Dec 22): Hong Leong IB Research has maintained its forecast for Bank Negara Malaysia (BNM) to keep its overnight policy rate at 3% in 2017 due to expectations of stronger growth. In an economic focus today, the research house said that in Malaysia’s November 2016 consumer price index (CPI) report, headline inflation rose at a faster pace of +1.8% year-on-year (Oct: +1.4% y-o-y), higher than consensus estimate of +1.5% y-o-y. HLIB Research said the higher consumer price index was driven by stronger increase in the food and beverages sub-sector, aided by slower pace of decline in the transport sub-sector. “Core inflation rose at a faster pace in November (2.2%; Oct: 2.0% y-o-y). We expect CPI growth to average 2.1% in 2016. For 2017, we expect inflation to increase to 2.7% following higher oil prices, sustained food inflation arising from removal of cooking oil subsidy and weaker ringgit. “We maintain our forecast for BNM to maintain policy rate at 3.00% in 2017 due to expectations of stronger growth,” it said.